This style is a more elegant than just the regular ponytail.. The best action shot of that step are follow. 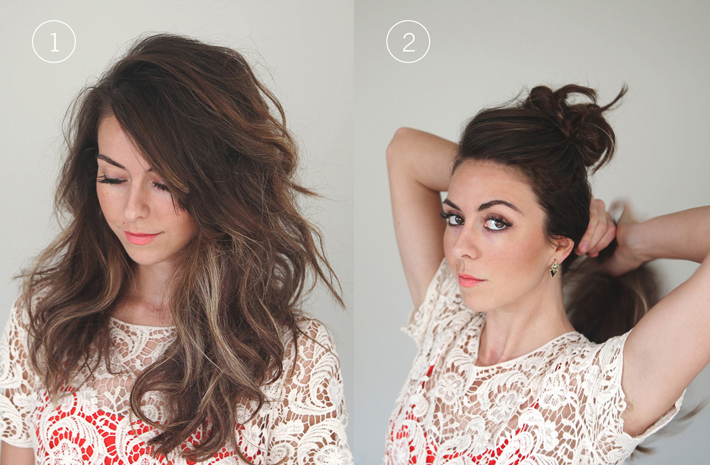 1: Start with your hair blow-dried and curled. This is actually a few days after I washed it. But freshly washed will work great and probably look better! 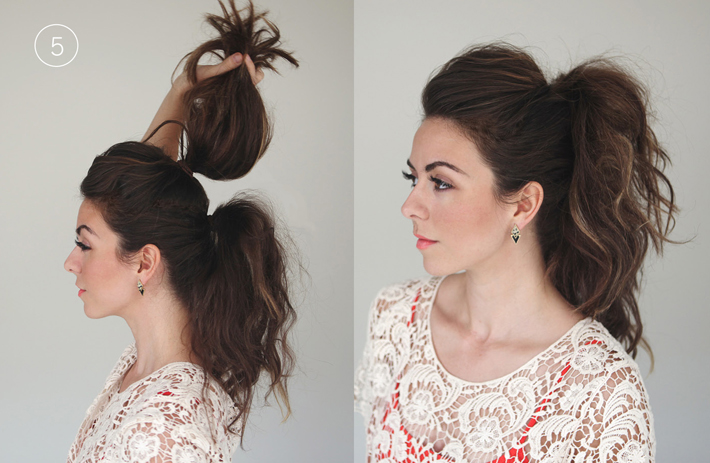 2: Pull the lower half of your hair into a mid range ponytail. 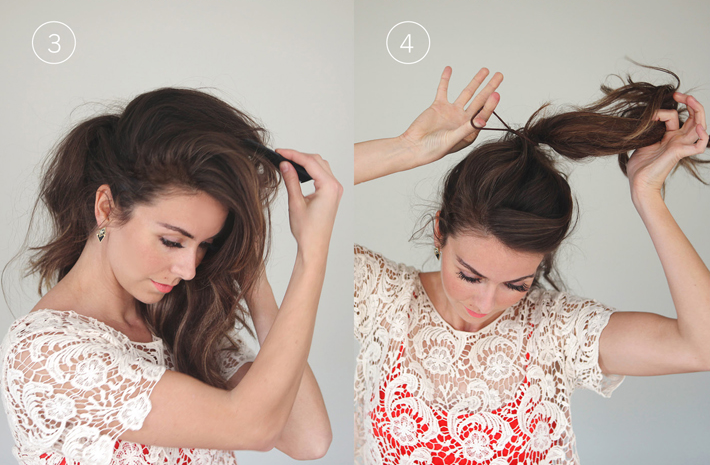 3: Comb and side-sweep the top half of your hair. Give it a little back combing for some volume if you need it. 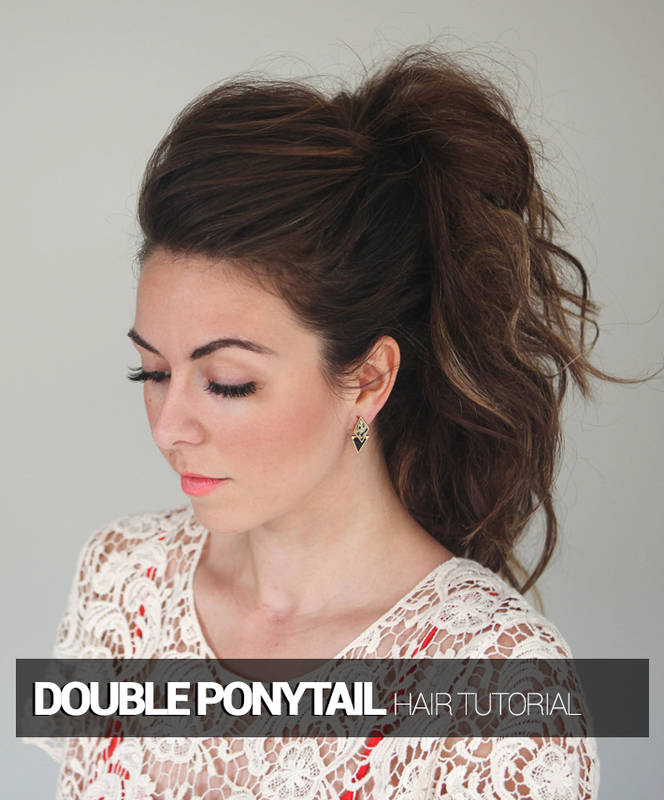 4: Secure the top half of your hair into a ponytail directly on top of the lower one. 5: Drop the top ponytail. Loosen a few places and tuck away any strays to make sure it looks nice!! Make sure to view the ponytail from both sides and adjust to make sure that the lower ponytail is not showing. You may want to experiment and try a few different ponytail heights to find a combination that works well with your head shape.